When it comes to using a moisturizing cream, it isn’t as simple as it seems. Or maybe you don’t even think it’s easy, which is why you clicked on this article in the first place. Most of us, however, use a moisturizing cream or product of some sort in our daily beauty routine. What we lack the confidence in is whether we’re applying it the right way, and if we’re even using the right product to begin with. 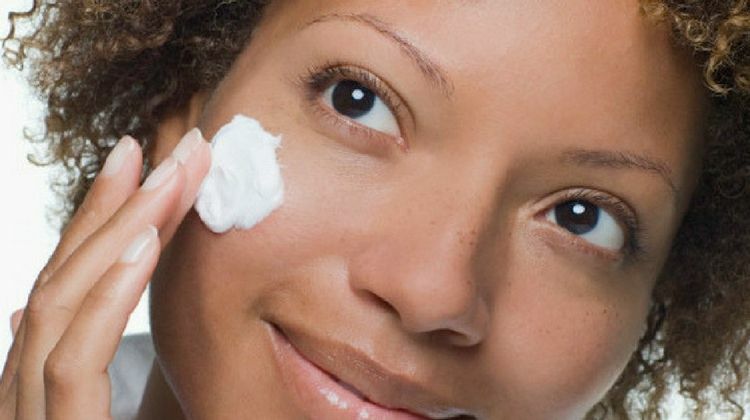 The good news is, if you’re applying a moisturizing cream or really any sort of moisturizing product to begin with, you’re already ahead of the game. If not, don’t fret. It’s never too late to start. Before jumping in to the nitty gritty of how to actually apply a moisturizing cream, it’s time I convinced you that using one is crucial for your skin’s health. If softer skin isn’t enough of a reason for you to add a few minutes to your morning and nighttime routine, allow me to enlighten you on some of the many benefits moisturizing does for your skin. You might think I’m dramatic, but think again. Or, if you don’t want to trust me at all, then trust the dermatologists who went to school for a long time to study skin. Here’s the low down: When we don’t moisturize, our skin’s barrier is compromised, which is what happens when our skin becomes dry. Dry skin is actually a low-grade chronic inflammation that is occurring on your skin. And guess what? That pesky inflammation leads to a breakdown of collagen and accelerated aging, which is exactly how those ugly wrinkles come to be. So by using a moisturizing cream, you’re avoiding dry skin and inflammation, and therefore, helping keep wrinkles at bay. If you’re one of those people who hasn’t introduced moisturizing into their daily routine yet and already has wrinkles, there’s more bad news. When you don’t moisturize, the wrinkles you already have will look even worse. When you’re not moisturizing, you’re actually dehydrating your skin, and dehydrated skin shows all the lines. 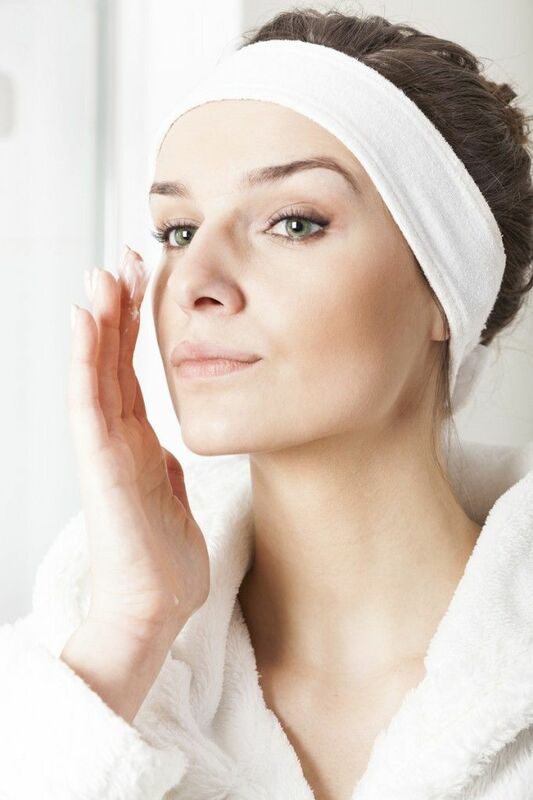 The best way to make those wrinkles look less prominent is by plumping up your skin with a moisturizing cream. This may be an obvious one, but without using a moisturizing cream, you’re just asking for dull, flaky skin. And let’s be real—no one wants that. If you live in a dryer climate, and especially during the colder months when humidity levels are low, the air can dehydrate your skin and strip it of lipids. Lipids are part of your skin’s protective outer layer, so when they’re gone, your skin is more vulnerable to irritants that cause flaking and redness. Achieve or maintain your healthy, radiant complexion all year long but moisturizing both morning and night. This seems like the exact opposite of what you need, right? You think I’m pulling your leg, because moisturizers are oily, and oil most definitely does not help your acne situation. Dryness is a huge culprit in aggravating your acne further, so having a moisturized face is one of the best things you can do to combat those blemishes. That being said, definitely search to find a moisturizing cream that’s oil-free, fragrance-free, and noncomedogenic. The goal is to moisturize your face, but you want to make sure you have a moisturizer that’s a good fit for your acne-prone skin. 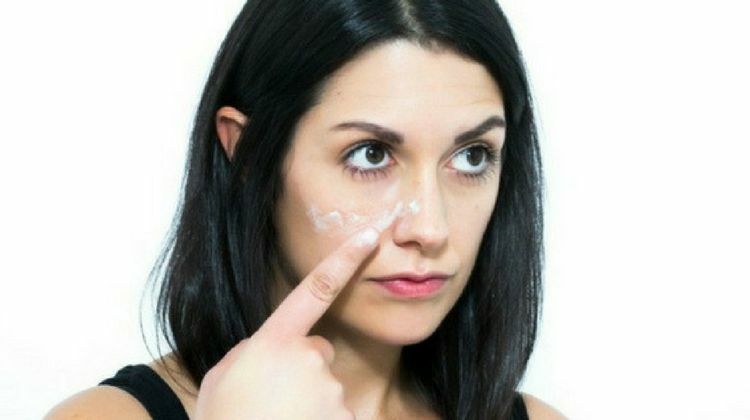 There’s a good chance you’re using an anti-aging product (or 100) on a daily basis, such as a retinol, salicylic acid, benzoyl peroxide, and the list goes on. Guess what all of those ingredients have in common? They’re extremely drying. And most women, rightfully so, will discontinue using those effective anti-aging products when they see that their skin is red, sensitive, and a bit painful overall. 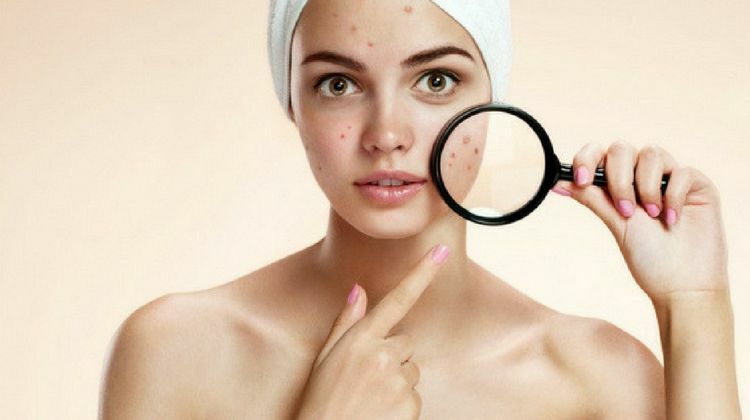 When that happens, you aren’t reaping the full benefits, and maybe even none of the benefits, that these anti-aging and acne products have to offer. By moisturizing on a daily basis, you’re helping your skin soak in some extra moisture that those rougher products are zapping your skin of. 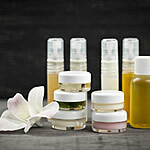 You avoid those harsh side effects and reap all of the anti-aging goodness those products pack. Win-win, right? When you’re using makeup products such as foundation and concealer, you may be tempted to skip moisturizing. Why add another product on your face, especially if your foundation claims to be moisturizing? If you want your makeup application to be flawless—and who doesn’t?— then moisturizing before you apply anything else is a step you can’t afford to skip. Makeup sticks to those pesky dry patches of skin, and has a tendency to sink into fine lines and wrinkles. Using a moisturizing cream will help with those wrinkles and dry patches, and will provide a nice base to begin applying your makeup. Just make sure you wait 5 minutes before applying makeup on top of your moisturizer so it has time to soak in. There is nothing worse than the feeling of dry skin, am I right? Your skin starts to feel tight, and super itchy. And you likely start to scratch, which makes your skin look red, inflamed, and flaky all over. By moisturizing your skin, you’re making yourself feel more comfortable, both in the actual moment, and long term. Because long-term use of a moisturizing cream will lead to smoother skin. And who wouldn’t enjoy that feeling all over? 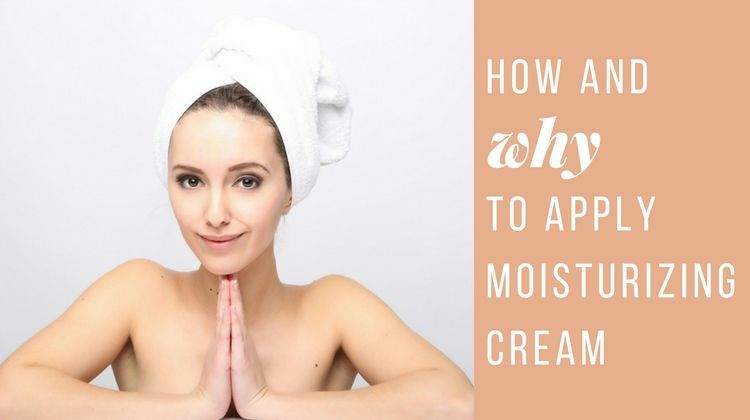 Now that we’ve laid out the obvious benefits to using a moisturizing cream, let’s walk through the best way to use it effectively. I know, I know. You think I’m trying to break your bank. 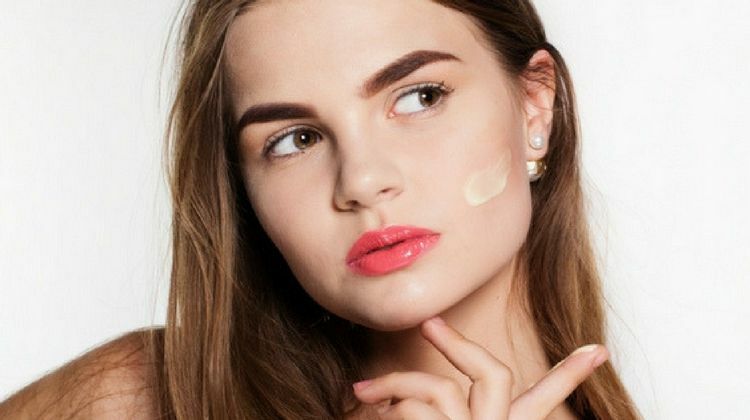 While purchasing more than one moisturizing cream may seem over the top, you’ll want to use different types of creams on different parts of your face and body. To begin with, you’ll want a different moisturizing cream for your face than you use for your body. We’ve gotten in to that whole topic in a different blog post, which you can check out here. But as a quick overview, your face is more prone to acne, likely has more sun damage, and is more prone to becoming dry than other areas. 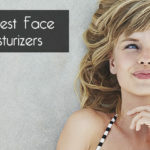 For this reason, you’ll want to select a different moisturizing cream for your face and a different cream for your body. If I’m being picky (which I am), you may also want to select a cream for your eyes. Eyelids need a separate product, and most moisturizers aren’t formulated to be used in the eye area. But if purchasing three separate moisturizers seems like bananas to you, you can just stick to separating your face and body creams. How do you know what moisturizing cream is right for you? It’s all about skin type. Not sure if you’re oily, combination, normal, or somewhere in between? Simply see how your face feels at the end of the day, specifically in your T-zone. If you feel flaky, you’re dry. If you feel oily… you get the point. Once you’ve gathered that information, find a face and body cream that advertises that it specifically targets your skin type. Trust me—with a million moisturizing creams on the market, this won’t be hard to find. And you’ll have plenty of options at every price point. If you’re anything like me, then the second I buy a new skincare or makeup product, I want to rush home and try it on immediately. While it’s easy to let excitement get the best of you, you could end up with some unwanted results. Even if you don’t have sensitive skin, there’s always the chance that your skin could react poorly to a new moisturizer, especially if this is a new step for you in your skincare routine. A good rule of thumb is to always test a small amount of the product on your forearm first. Allow yourself a few days of doing this, or even a couple of weeks if you are known to have sensitive skin, before you decide to apply the moisturizing cream on your face. Better safe than sorry, right? Because we all know there’s nothing worse than a major breakout on your face that takes weeks to clear up. As a quick side note, too—if you know you’re allergic to something, make sure you check the ingredient list for that item. This is especially important if the product says “hypoallergenic” on the packaging. Just because it’s hypoallergenic doesn’t mean it doesn’t contain something you may be allergic to, so always take the extra minute to double check. Whether you’ve been moisturizing since you were a teen, or have yet to begin, this is probably a step you haven’t heard before. When it comes to applying moisturizing cream, you should always apply from the bottom of your face to the top. Applying from the top to the bottom of your face causes you to continuously tug down on your skin, which can lead to sagging. When you apply it the other way, however, you’re gently lifting the skin, giving yourself a mini face lift every time. So if you’re like me and are doing everything possible to combat signs of aging, you’ll definitely want to make sure you’re applying your moisturizing cream the right way. I absolutely hate getting ready for bed. And I know I’m not alone. While it’s super tempting to just watch Netflix and crawl into bed without going through your skincare routine, it’s super crucial that you do it. During the night, our bodies lose a lot of water, so using a good moisturizing cream will help ensure that your skin doesn’t get too dehydrated throughout the night. Our bodies also naturally enter “repair mode” when we sleep, so a solid moisturizing cream can help repair skin ailments, such as dryness, flaking, etc. Just as important as moisturizing at night is moisturizing during the day. As a general rule of thumb, the best times to moisturize are after you shave, exfoliate, or bathe. Since many of us do these things in the morning before work or school, following up with a moisturizing cream is crucial. As a quick bonus tip—feel free to use a moisturizing cream on damp skin. 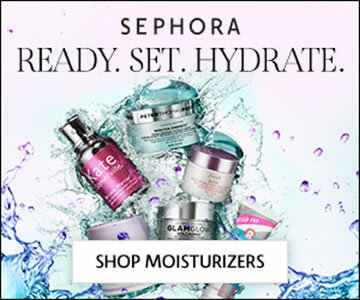 The moisturizer will capture the water that’s left on your skin and seal it into your pores, giving you even more hydration than if you used the product on dry skin. I’m sure you already know this. In fact, your skin probably makes it super apparent. Depending on the season and climate you’re in, you may need to switch up the kind of moisturizing cream you’re using. For example, colder months may require you to use a heavier, more hydrating moisturizing cream. That same cream may be way too overwhelming for your skin during warmer months, however, so you may opt for a lighter moisturizer with a slight tinting effect. The best way to know if you need to change up your moisturizer? Listen to your skin. If your skin feels too dry or too oily, it’s probably time to make a change. Just make sure you patch test any new moisturizer you introduce into your routine. All of us, no matter what skin type we have, should be wearing sunscreen on our face every. single. day. So when you’re selecting a moisturizing cream, you should definitely consider whether you want it to contain SPF or not. If you’re someone who wears sunscreen underneath moisturizer every day, then you don’t need to worry about this. For some people, especially those with oily skin, wearing sunscreen only adds to the oil on their face. So if you want your moisturizing cream to have SPF, make sure you look for a product that has an SPF of 30 or higher, and make sure it’s broad-spectrum sunscreen. Broad-spectrum sunscreen basically means it protects your skin against both UVA rays (which are responsible for aging the skin) and UVB rays (which are responsible for burning it). 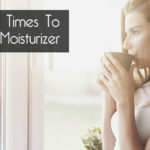 Now that you’ve read up on why you should be using a moisturizing cream, and just exactly how to use that cream, you can consider yourself a moisturizing expert. So whether you’re reading this in the morning or at night, you already know what to do—happy moisturizing!